Young Christchurch karter Jacob Douglas has led a four-strong New Zealand squad to its best ever finish at the big ROK Cup International Final meeting in Italy. In his second appearance at the annual title meeting for karts powered by Italian-made Vortex ROK engines, the 13-year-old two-time NZ champion qualified fourth quickest in the 143-strong Mini ROK class field then won his third heat and was classified 7th in his Group to start the class’s A Final from P13 on the grid. From there he got as high as 6th before crossing the finish line 10th but losing five places thanks to a nosecone penalty and eventually being classified 15th. 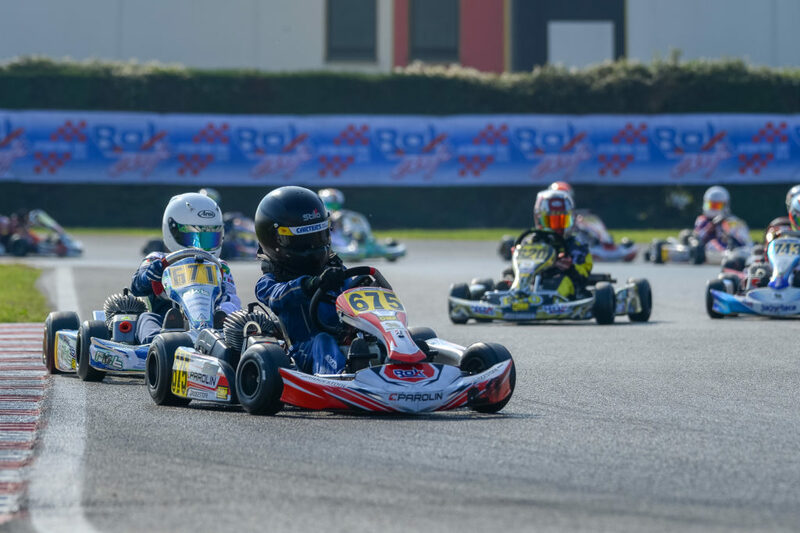 Though Douglas was the only one of the four to make it to their A Finals, both Kaden Probst (Mini ROK) and Joshua Parkinson (Junior ROK) made their B Finals. Probst was 24th in the same Group as Douglas after the heats (for which he qualified 7th in his Group and 38th overall) and claimed a best heat race finish of 5th. That got him a starting spot of P14 for the Mini ROK Singha Trophy (B Main) from where he made it up to 7th place. Fellow Aucklander Joshua Parkinson qualified 15th in his group and 29th out of the 95 starters in the Junior ROK field but even a best finish of third in his heats could not make for contact from other drivers which saw hm fail to finish the first heat and finish a lap down in the last one to be classified 51st overall. That still got him a start in the Bridgestone Trophy (B Main) for the class though in which he made up 6 places to finish 11th. The other Kiwi who earned a trip to the meeting, NZ ROK Cup Vortex Mini ROK class series winner Tom Bewley from Havelock North in Hawke’s Bay, ended up 38th in his Group after a best finish of 15th in his heats, however this was not enough to advance him into either Final. 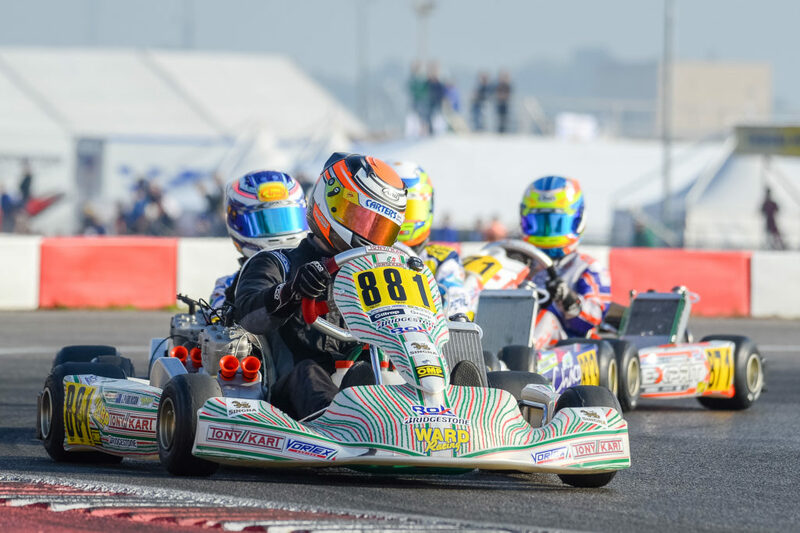 Saturday was Finals day at the 16th annual ROK Cup International Final meeting and it marked a hectic end to a very busy and successful fortnight of racing at the South Garda Karting Track at Lonato in northern Italy. At the final Italian Autumn Cup meeting at the track the weekend before, for instance, all four young Kiwis qualified for and raced in their A Finals. Joshua Parkinson was consistently one of the quickest drivers in the 75-strong Junior ROK field, qualifying second and started the A Final from P4 before crossing the line in P12 then being upgraded to P10 as time penalties were levied on other drivers. Kaden Probst, meanwhile, ended up the best of the Mini ROK trio in their A Final, working his way up 10 places to finish 19th. Tom Bewley was next, qualifying 24th and finishing 29th in the A Final with Jacob Douglas one spot back in 30th place. 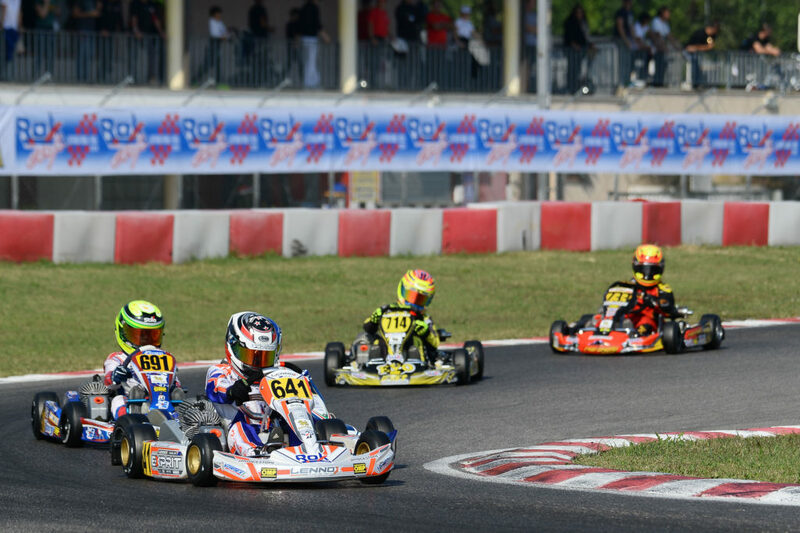 The annual ROK Cup International final meeting is one of the biggest manufacturer-based events on the global karting calendar. 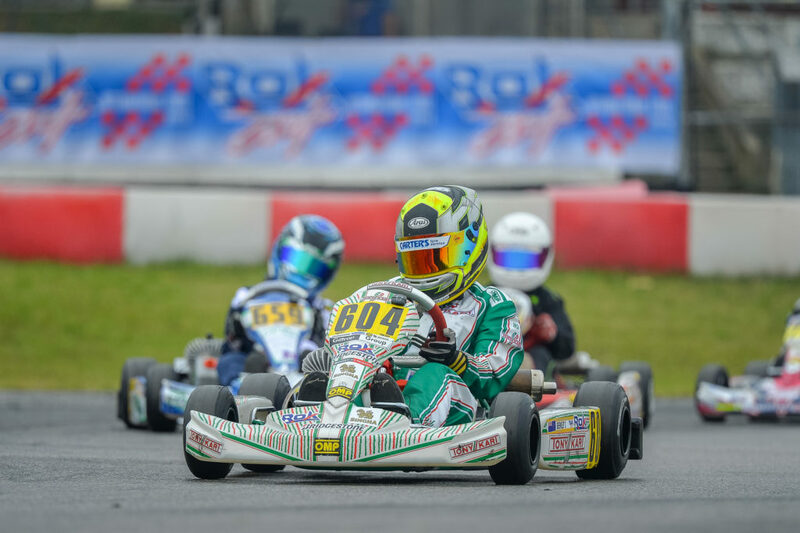 This year’s was the 16th with 441 karters from 54 countries contesting Vortex ROK category titles across five different classes. This year’s event was the fifth at which New Zealand has been represented. Jacob Douglas won his prize drive as the 2018 NZ Sprint Mini ROK Champion, Tom Bewley earned his for winning the 2018 ROK Cup NZ Series Mini ROK class, while Joshua Parkinson won his drive at the 2018 National Schools Championships in the new Vortex ROK DVS Junior class. Kaden Probst, meanwhile, gained a wild card entry through his participation in Mini ROK class racing in both NZ and Australia.